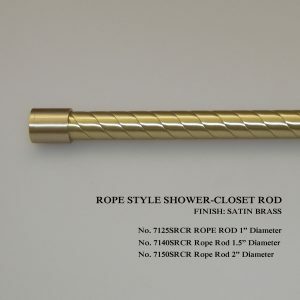 DHS offers closet and/or shower rods in smooth, reeded and rope tubing. We offer three sizes of 1″, 1.5″ and 2″ diameters. 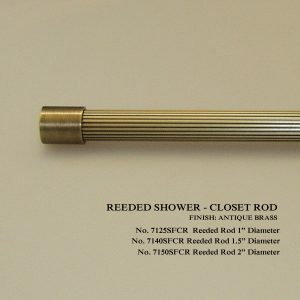 Closet-shower rods come complete with two (2) end caps and tubing in 3,4, and 6 foot lengths. 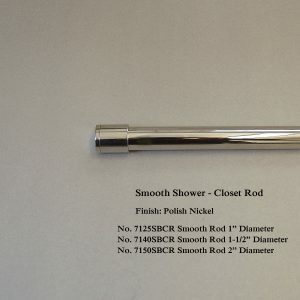 We offer this product in nineteen (19) custom finishes. If longer lengths are required, consult factory for pricing details.